The foods children eat are essential towards them having the necessary amount of energy they need throughout the day. With a recorded decrease in children’s ability to concentrate, many parents are searching for natural solutions, without relying on medications, to help their kids. A child’s diet is fundamental for their growth and taking careful consideration as a parent of the types of food kids eat can make a tremendous difference on their daily performance. 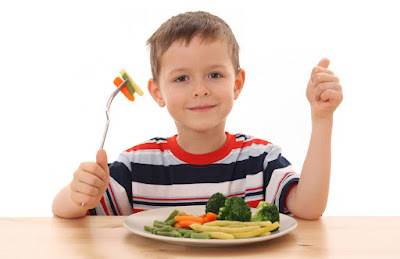 In order for children to be able to concentrate properly, they need to consume good quality whole foods, a balance of carbohydrates, and protein, all while in taking as little sugar as possible. While its challenging to control what children do and don’t eat when they’re away in school, ensuring that they eat a healthy breakfast can make a huge difference. Before leaving the house in the morning, make sure you try to getting your child to eat some protein for breakfast. If your child enjoys yogurt, you can try mixing a scoop of protein powder into the yogurt. A good quality protein powder can make the yogurt taste similar to pudding, which a majority of children will love. You can be creative and prepare a fruit smoothie mixed with protein powder. By adding protein powder to the fruit smoothie, the sugary taste of the beverage will balance out as well as provide a healthier, shake-like texture to the drink. While mixing protein powder into yogurt or a fruit smoothie is essentially healthier than the average breakfast kids normally eat, feeding your child whole foods is still a better option. A vegetable omelet is a good way of mixing a protein source with the vital vegetables they need. Cut up vegetables your children enjoy ahead of time and simply add them to the eggs every morning. This is a fast and easy recipe to make sure your kid receives a healthy breakfast before school. At the start of any kid’s day, try to avoid feeding your child sugary cereals or any kind of cereal as a matter of fact. The majority of cereals have a high sugar content and literally only take minutes to break down in their bodies. These can often send their blood sugar levels spiking and dropping rapidly. Cereal also contains very little protein, which offers children very little nutritional value. And last but not least, always refrain your child from in taking coffee or any other sugary, caffeinated beverage in the morning. All the chemicals they consume through these type of drinks are not healthy for their growing bodies. Making sure children are eating and avoiding the right type of food is a good way of ensuring children maintain a healthy lifestyle as well as improving their concentration and performance throughout their day.